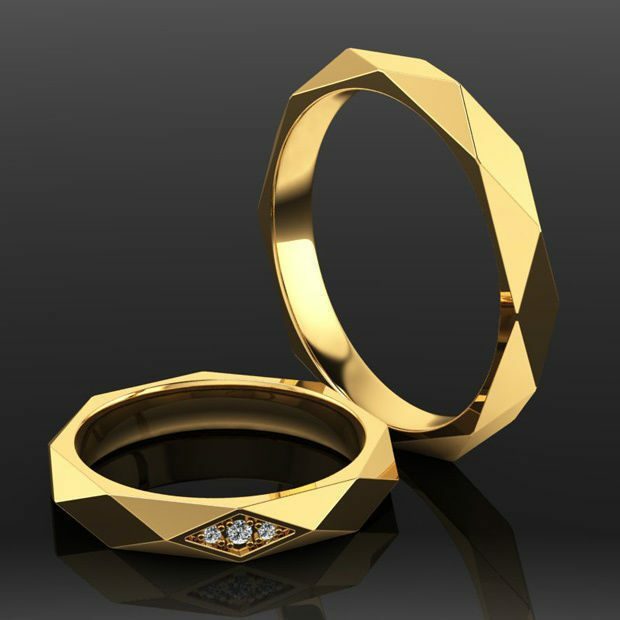 This Faceted Mens Wedding Ring has triangular and diamond shaped facets covering the ring. It can be cast in Sterling Silver, Palladium Silver, Rose Gold, Yellow Gold, White Gold, Palladium, and Platinum in sizes 4-15 and in 3.5-10mm widths. 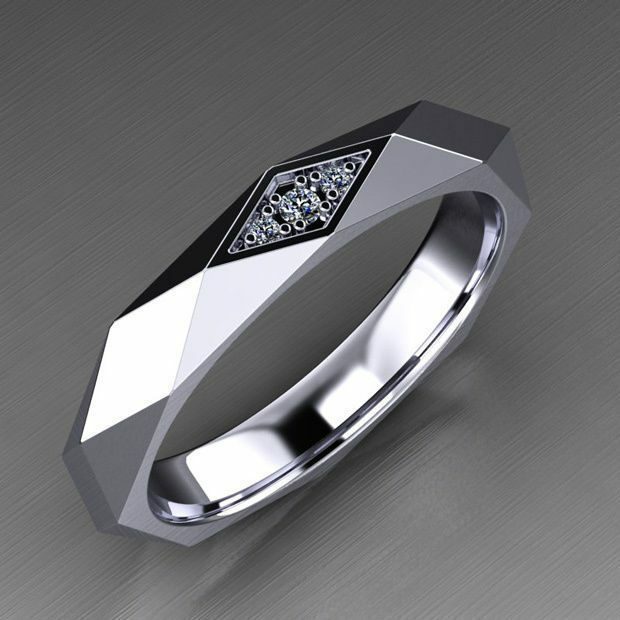 The main image has 3, small diamonds in it, which could also be duplicated around the ring, but they are optional. METAL OPTIONS: Sterling Silver, Palladium Silver, Rose Gold, Yellow Gold, White Gold, Palladium, and Platinum. The starting price is for a 3.5mm wide Sterling Silver Faceted Mens Wedding Ring.